phatthai 2 weeks, 5 days ago. The good news is that LineageOS 16 for Pixel 3 XL is now available to download and install. This LineageOS 16 build is brought to you by developer J0SH1X and another build is by jorgen2009. 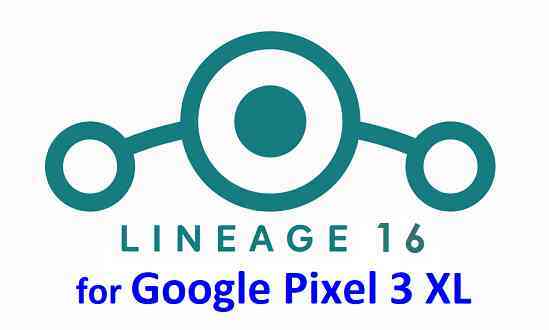 Searching where to download LineageOS 16 for Pixel 3 XL? Wondering how to install LineageOS 16 on Pixel 3 XL? If you have one of the question for your Pixel 3 XL, then you are at the right place and here is where to download and how to install LineageOS 16 on Pixel 3 XL, with a step-by-step guide. Good news. You can now download and install LineageOS 16 for Pixel 3 XL. Here is how to install LineageOS 16 on Pixel 3 XL, with a step-by-step guide. THIS IS AN INITIAL BUILD OF LineageOS 16 FOR Pixel 3 XL, WHICH MAY NOT BOOT AT ALL OR MAY HAVE MANY BUGS. Installing a custom ROM may require an unlock bootloader on Pixel 3 XL, which may VOID your warranty and may delete all your data. Before proceeding further you may consider backup all data on the phone. Download and Copy the dev built LineageOS 16 for Pixel 3 XL ROM zip and GApps ZIP file to your phone. Boot into the TWRP custom Recovery to install this LineageOS 16 on Pixel 3 XL. Reboot and Enjoy the Android 9 Pie LineageOS 16 on Pixel 3 XL. Install the LineageOS 16 for Pixel 3 XL. If you don’t have GApps after upgrading the LineageOS 16 on Pixel 3 XL, then flash the GApps. If you don’t have ROOT after upgrading the LineageOS 16 on Pixel 3 XL, then flash the SuperSU or Magisk or the Lineage SU binary. Once everything is done, reboot and Enjoy the LineageOS 16 on Pixel 3 XL. Complete the initial setup and enjoy Android 9 Pie with LineageOS 16 on Pixel 3 XL. Stay tuned or Subscribe to the Pixel 3 XL (crosshatch) LineageOS forum For other Android Pie, Android Oreo ROMs, Nougat ROMs, or other ROMs and all other device specific topics. I’d like to try out installing and using LineageOS on my Pixel3 XL, but I noticed there is only one build up for crosshatch and it is from November last year, while the blueline builds appear to be weekly up to this week. Are both of these from the same code base? Is it possible to get a newer build for crosshatch to try out somehow? I have added a new link that will take you to the Lineage OS 16 builds for Pixel 3 XL built by jorgen2009 which is being updated quite often. slot B, and then again repeat after rebooting bootloader to slot A. Then I flash the lineage ROM, and try to reboot into it. two appear to just freeze on the splash screen and never get past it. try, please let me know.